Looking for the job in government bank? Here is the good news for you! State Bank of India (SBI) has released the employment notification named SBI Specialist Cadre Officer Recruitment 2019. Through this recruitment, notification bank has announced thirty One (31) vacancies for the post of Project Development Manager, Executive, Dy. Manager, and others. The online application form to apply for said vacancies is available on the official website of State Bank of India (SBI). Candidates after matching eligibility terms can fill the application form. The procedure of application has been started form today i.e. 09 January 2019 and will continue till 31 January 2019. 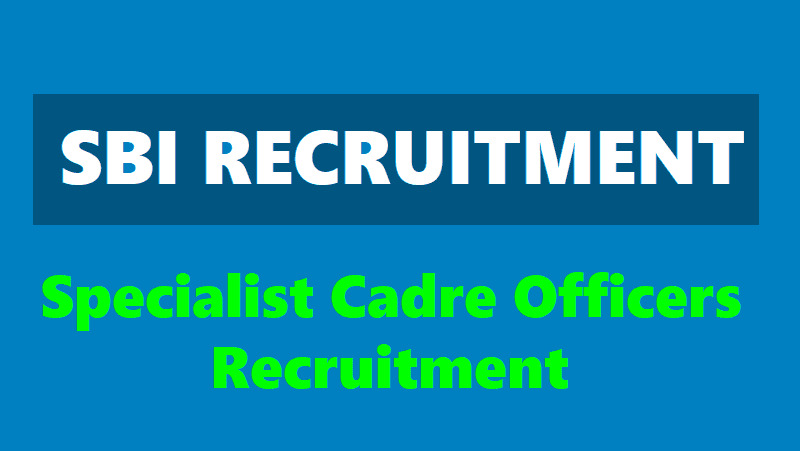 If you are interested in SBI Specialist Cadre Officer Recruitment 2019 then must check the complete SBI SO notification details form below. Bachelor/ Master Degree as per the post requirement, candidates should also have relevant year of experience. Step 2: After going to the home page you have to hit on “CAREER” link available at the top right of the home page. Step 3: Now go to “Latest announcement” section and hit on the “Recruitment of Specialist Cadre Officers On Regular & Contractual Basis (Apply Online from 09-01-2019 to 31-01-2019) Advertisement No CRPD/SCO/2018-19/12” link. Step 4: You can check notification in “Hindi” or “English” language check the notification details. Step 7: Upload the required documents. Step 8: Pay application fee. Step 9: Make a final submission of application form. Step 10: At last submit a form and take a print out of submitted application form for the future reference.